Find supplies,mine, enrich, package, burn. Orpan Mine in Grand Canyon. 500 tonnes still there. Fission cross sections for Uranium-235 fuel. Ahmerdjinidad inspects centrifuge enrichment plant. TRISO: Million year containment of all products. Mini PRIMER on NUCLEAR FUELS. The IAEA reports about 20 million tonnes of Uranium resource on the planet. This is based on existing mines, known but unexploited deposits, expected deposits in similar geological features, and suspected resources to be found by more exploration. In principal, this could provide nearly 20 million reactor years of power at the 1Gigawatt level. This could be 2000 years in a world with 10000 reactors. This is equivalent to the energy from 10 billion tonnes of coal putting 30 billion tonnes of CO2 into the atmosphere each year. Can all that CO2 really be buried? 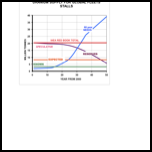 Spurious and notorious calculations of the CO2 emissions from Uranium mining gave very large estimates which are widely used by Green activists. The USA is the best explored country for Uranium, so their own estimates are good. 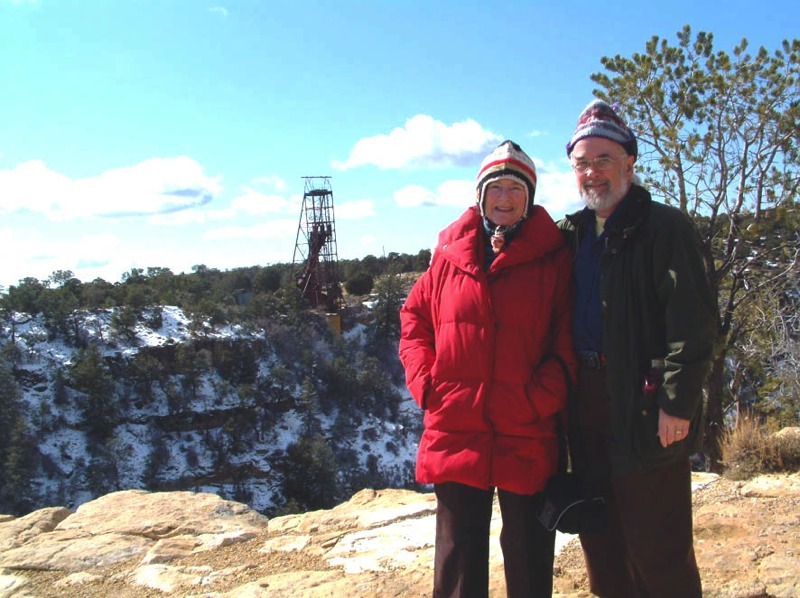 The background picture here shows the McNamara's at the Orphan Uranium mine in Grand Canyon (1). Among all those layers of geology there had to be Uranium somewhere. Most locals now deny its existence. It was closed when Grand Canyon became a national park. The rest of the Colorado Plateau is a rich source of Uranium, all belonging to the Navajo Nation. Uranium has an outer shell of 8 electrons which are somewhat shielded from the nucleus by the other 84 electrons. aIt has a complicated chemistry behaviour and combines in large complexes with other elements to make many very colourful crystals. The Curite ore from Congo has spectacular crystals (2). The 'cross section' is the effective size or probability of an interaction with a nucleus as seen by an approaching neutron. The unit of measurement is the 'barn' at 10^-28 m^2 which is like the size of a Uranium nucleus at 1.8 barns. The neutron itself is about 2% of a barn, and a pretty small projectile. The fission cross section at reactor temperatures is a huge 500 barns. It is possible to build a power reactor using natural Uranium but they are inevitably quite large to allow the neutrons a good chance to cause fission. Examples are the Canadian CANDU, the UK MAGNOX reactors, and the Russian RGB. They are too large for a submarine but more compact designs are possible with Uranium enriched to 3-5%. This also improves the total burn up before enough absorbing isotopes, called neutron poisons, are created to slow the chain reaction. 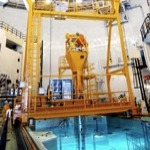 The Pressurised Water cooled Reactor, PWR, was also best at producing and using Plutonium. The PWR is the world's dominant Generation III power reactor. U-238 and U-235 are chemically almost identical so cannot be separated by chemical means. The solution has been to convert Uranium Oxide to Uranium Hexafluoride, UF6, which is a gas above 56 degrees. The lighter version with U-235 diffuses upwards faster than the heavy one. Repeated cycling through diffusion columns slowly enriches the collected gas, but the process is very expensive. The US used large amounts of hydroelectric power from the Tennessee Valley Authority. The diffusion method has been superseded by much cheaper centrifuges spinning at 100,000 rpm, replacing gravity with centrifugal force as the separator (4). 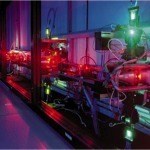 Australia has developed a laser isotope separation method which is cheaper even than centrifuges. The latest Gen II reactors use fuel enriched to around 5%. One tonne of 5% enriched fuel comes from 9.6t of natural Uranium and leaves 8.6t of Depleted Uranium (DU) at 0.2% of U-235. The huge inventories of DU around the planet are now our largest energy reserve. Fast Reactors are able to convert this to Plutonium-239 fuel, replacing all the U-235 burned. They need fuel enriched to about 20% for efficient breeding. Weapons need fuel enriched to around 99% U-235 or Pu-239. Tight control and inspection of enrichment plants is needed to keep civilian nuclear power completely separate from military uses. The whole subject of weapons proliferation is discussed on Politics Avenue. The Uranium can be packaged in many different ways to get the best burnup and to eliminate more of the most radioactive by products. 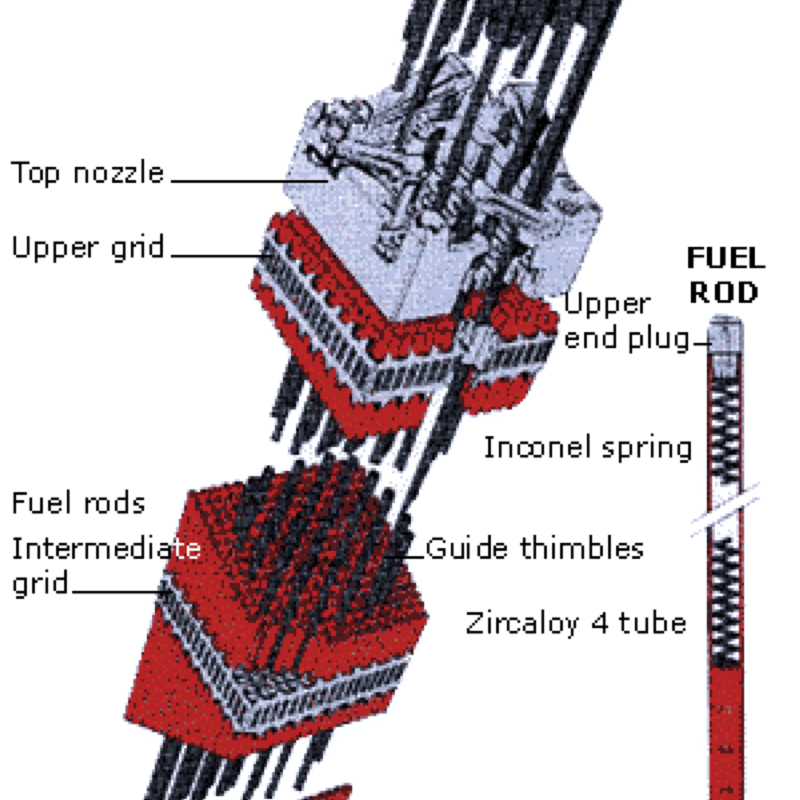 Pellet fuels (5) were first developed in Germany and trailed in a joint effort in the Dragon Reactor at Winfrith, UK. The final version was developed by General Atomics. 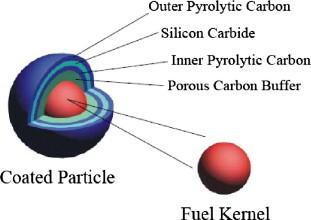 Any kind of fuel can be used as the pellet core which is wrapped in graphite, a neutron moderate, Silicon carbide to contain caseous and other fission products, and an outer shell of pyrolytic Carbon. The package can contain all contents for up to 1 million years, as estimated by microscopic studies of the components and computer simulations. This means that the pellets can be irradiated for a long time and a large fraction of their fuels burned. The pellets are small, about 1-2mm in diameter, but can be assembled into pebbles with a Carbon coating the size of a tennis ball. Pebble bed reactor designs move pebbles through a reactor vessel and cooled by Helium gas. Unfortunately, the hot pebbles rub together, creating fine carbon soot, and can stick together. Moving solid fuel has proved to be unreliable and pebble bed reactors have largely been abandoned. The GA version uses solid fuel rods in a hexagonal Graphite matrix for a very promising set of designs in the Modular Helium cooled Reactor family (MHRs). US indifference to new reactor designs left this on the shelf. The common fuel packaging around the world id the PWR assembly of fuel rods of Uranium Oxide wrapped in a Zirconium alloy. Zirconium has an extremely low neutron absorption cross section and allows most fission neutrons to bounce around the reactor. The major defect is that Zircalloy burns in steam during any melt down and releases the explosive, but non-radioactive gas, Hydrogen. This is what blew the roof off the Fukushima reactor buildings built by GE- Babcock. It is a primary reason to move away from water cooled reactors by mid century. The fuel has such a large energy content that it is only a tiny fraction of the costs for nuclear power. One tonne of any fissile isotope can power a 1000 MW (1GW) reactor for a year. The electricity sells for £800M. Non fissile heavy metals from Thorium upwards can be converted to fissile material by absorption of one neutron. All the heavy isotopes are extremely valuable. Estimates of accessible Thorium resources, an alternative fuel, is around 60 million tonnes, so add another 3000 years of Thorium power to to the 2000 for Uranium.